A.T. 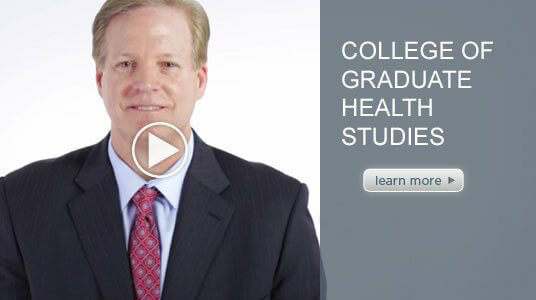 Still University’s (ATSU) College of Graduate Health Studies (CGHS) educates and prepares healthcare professionals with management and administrative online healthcare degrees for a variety of settings. The College’s goal is to provide comprehensive and relevant online health management knowledge through superior quality, innovative online education. ATSU’s College of Graduate Health Studies degree programs provide working healthcare professionals an opportunity to earn a prestigious degree in the healthcare industry. 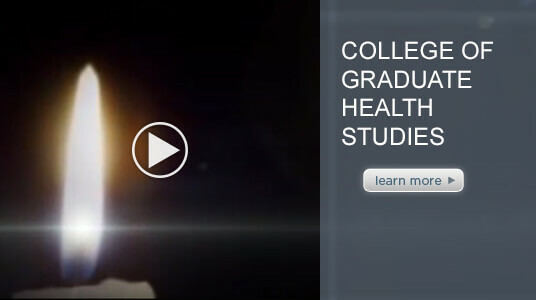 Options at the College of Graduate Health Studies include: Doctor of Education in Health Professions, Doctor of Health Administration, Master of Health Administration, Master of Public Health, Master of Public Health – Dental Emphasis, Master of Science in Kinesiology, Doctor of Health Sciences, and Dental Public Health Residency. ATSU-CGHS’s distinguished online doctoral and master’s programs provide the flexibility necessary for working professionals to meet their career development goals. Curriculums reflect the most current advancements in the industry and prepare graduates to be proactive in navigating the ever-changing healthcare tide. ATSU Online students also have opportunities to gain real-world clinical experience in their hometowns or in other areas of the country. Graduates become part of ATSU’s pioneering spirit of innovation and healthcare leaders influential in the communities they serve. Graduates become part of ATSU’s 120-year history of excellence and connected to a family of professionals that have the passion to serve where needed most. ATSU has been approved for its candidacy status for Quality Matter’s Program Certifications of Online Program Design, Online Teaching Support, Online Learner Support and Online Learner Success and is committed to implement a quality assurance process for the College of Graduate Health Studies. Learn more. 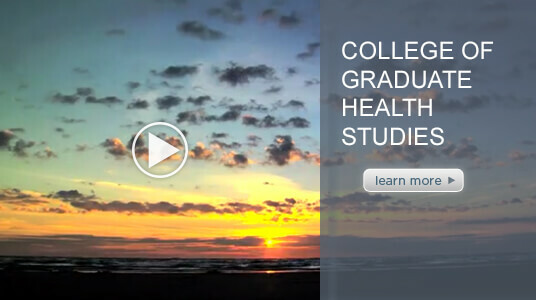 Apply to any of the College of Graduate Health Studies programs online through ATSU’s application system. Review the academic calendar for program term start and end dates. 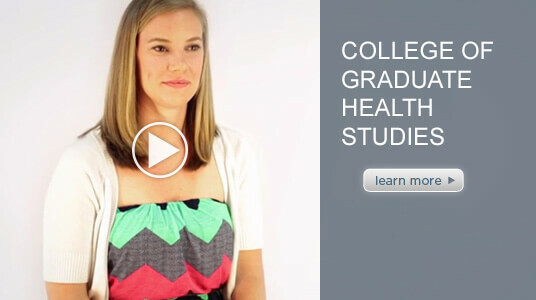 The College of Graduate Health Studies uses innovative online practices to provide a balanced approach that allows students to study at a time and place that is most convenient to them. 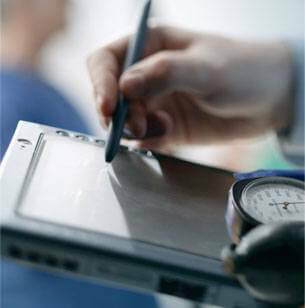 Our graduates excel in key areas of healthcare education and administration offering a strong diversity of career paths. * - Additional clinical degree required. Please note, this list of potential career paths is meant to provide examples of career paths that graduates of the ATSU DHEd, MPH, MPH dental or MHA program might pursue. While the ATSU DHEd, MPH, MPH dental or MHA degree helps students prepare for these career paths, preparation for any single career path may also depend on previous and current educational and work experience. 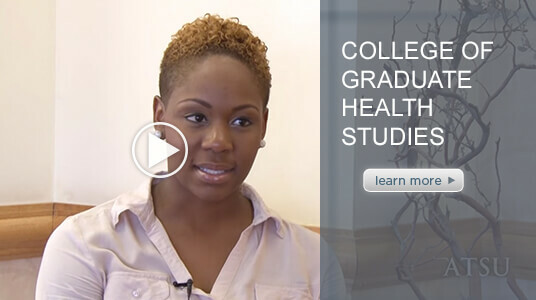 The College of Graduate Health Studies has a dedicated Career Services counselor to help students and alumni meet career needs and connect them to appropriate career opportunities. The Career Services Office offers counseling and critiquing of resumes, CVs and cover letters, as well as opportunities for mock interviews and workshops. Note: Career services are available to CGHS students and alumni. Login requires ATSU username and password. Contact the ITS Help Desk at helpdesk@atsu.edu or 660.626.2200 if you need assistance. 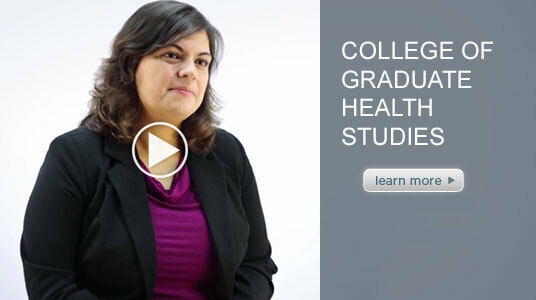 Faculty in the College of Graduate Health Studies are comprised of men and women who are compassionate, diverse individuals who have a wealth of knowledge and skills in healthcare. Our highly talented faculty shares a strong commitment to provide excellence in teaching and are dedicated individuals who advocate to improve health outcomes for the community and nation. Per the ATSU Catalog, all graduates must complete all graduation requirements prior to participating in commencement ceremonies. 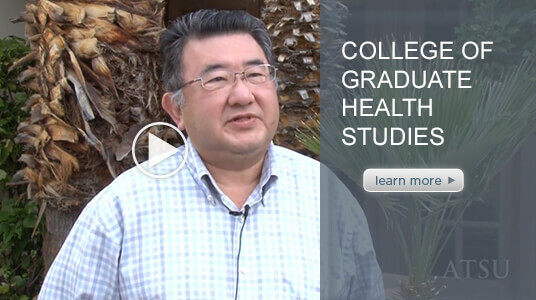 Email your academic advisor at cghsacademicadvisors@atsu.edu for eligibility questions. All graduates are encouraged to attend. Bring your regalia. Program pictures will immediately follow orientation. Friends and family are not able to accompany graduates to orientation/pictures, but they are welcome to mingle in the lobby and/or banquet hall. The CGHS banquet is a great opportunity for you to mingle with colleagues from ATSU-CGHS. Attendance is optional. The graduate’s dinner will be complimentary. Meal prices for guests will be confirmed spring 2019. Estimate $40 for adult guests, $20 for children age 5-12, and no cost for children under 5. Attire is business casual. Unable to attend? Watch live at live.atsu.edu; the program will begin broadcasting at the time listed above. Attendees are responsible for making their own travel arrangements. You will be able to find a variety of accommodations near the Phoenix Sky Harbor International Airport, banquet venue, and commencement venue. You will find that most questions are addressed in the Graduation Resource Guide (2019 information coming this spring). Contact Aesha Turner at aturner@atsu.edu or 480.265.8021 with questions related to graduation events. 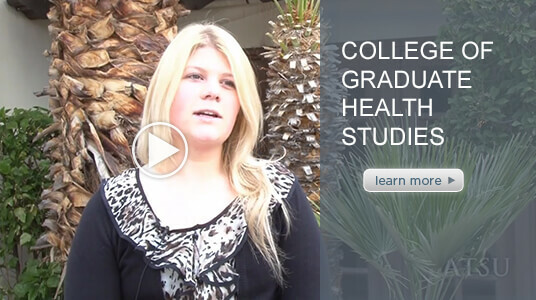 Contact your academic advisor at cghsacademicadvisors@atsu.edu for eligibility questions. At A.T. 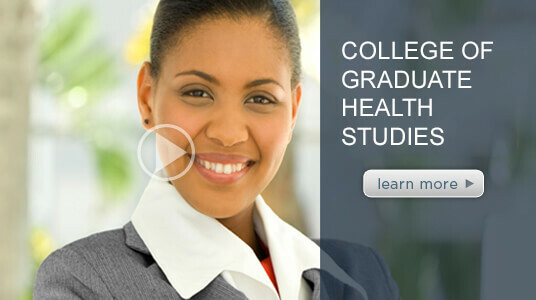 Still University’s College of Graduate Health Studies (ATSU-CGHS), we believe that anything is possible for our students. ATSU-CGHS degree programs provide working healthcare professionals an opportunity to earn a prestigious degree in the healthcare industry, and we’ve created a new employer partnership program to help working professionals meet their career development goals. Learn more about this opportunity today, and discover how our online master’s and doctoral programs provide the flexibility necessary for graduates and working professionals to meet their career development goals. ATSU-CGHS curriculum reflect the most current advancements in the industry and prepare graduates to be proactive in navigating the ever-changing healthcare tide. Human resource professionals, deans, department chairs, or other appropriate personnel, please contact Aesha Turner to discuss this no-cost partnership (aturner@atsu.edu or 480.265.8021). Prospective students, please ask your human resources representative, dean, department chair, or appropriate personnel to contact Aesha Turner for partnership details, or contact an admissions representative for more information about specific programs at 877.626.5577. Individuals requesting a tuition discount must complete the Tuition Discount Request form (pdf) and submit to the CGHS dean’s office. A.T. Still University of Health Sciences has been approved for its candidacy status for Quality Matter’s Program Certifications of Online Program Design, Online Teaching Support, Online Learner Support and Online Learner Success and is committed to implement a quality assurance process for the College of Graduate Health Studies. The program will undergo the Program Review process at the end of the maximum 3-year candidacy period from 7/1/17 to 7/1/20. The Quality Matters Program Certification process ensures that online programs and courses promote learner engagement and provide students with all the tools and resources they need to be successful learners. Learn more about Quality Matters. ATSU’s University Writing Center (UWC) is a resource available to both students and faculty. The UWC has online resources covering APA formatting, citations, references, tools for organizing a paper, and tips for writing introductions, thesis statements, conclusions, paragraphs, and more. Students are encouraged to visit the UWC website to get answers to routine APA questions and basic writing help. Faculty are also encouraged to use the website to help them as they provide feedback to students. The UWC website is accessed in the ATSU portal at ATSU Online>ATSU Online Writing Center or via the Blackboard main page. A gift to A.T. Still University is an investment in the quality of healthcare. At ATSU, we are committed to educating the most innovative and compassionate physicians, dentists, and healthcare providers. 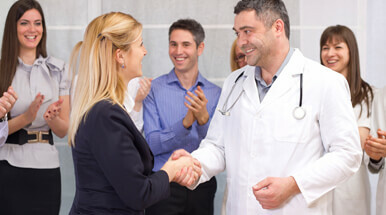 Your support plays a critical role in maintaining ATSU as a national leader in healthcare education. The reasons for making a gift to ATSU are personal and varied. Perhaps you are grateful for your ATSU education and want to give something back. 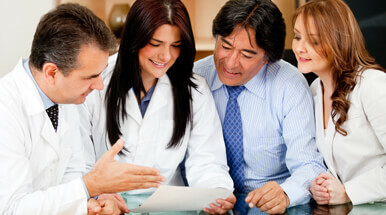 Maybe you would like to leave a legacy to benefit the next generation of students interested in healthcare education. 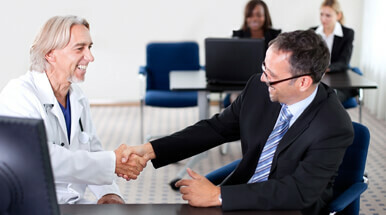 Perhaps you have received compassionate care by one of our faculty members or graduates. Whatever the motivation for giving, we thank you for your investment and are committed to be exceptional stewards. View the complete CGHS course listings. Explore and share recent posts from ATSU’s social channels.